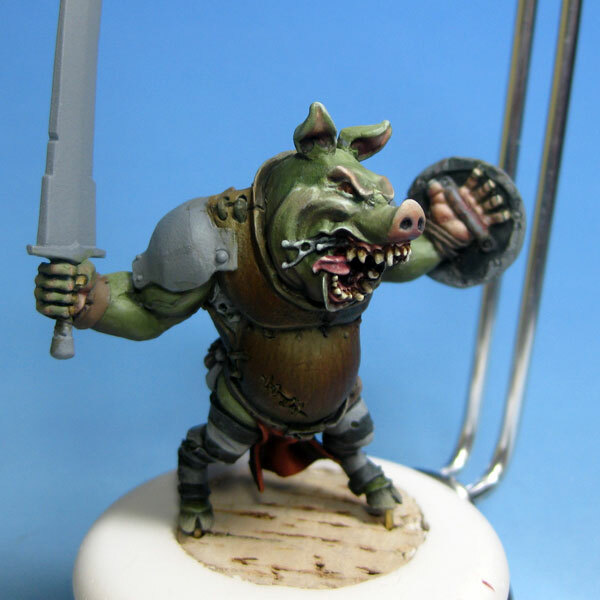 Wrath of Kings Union Worker… painted as a pig-faced orc! 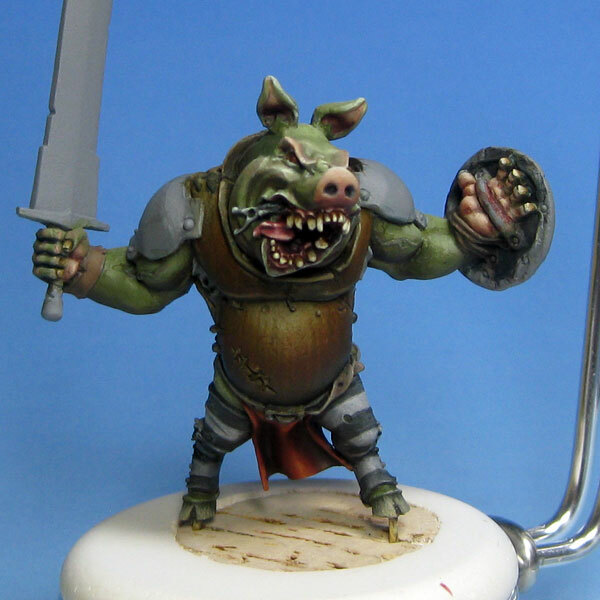 I have some grand schemes for these Wrath of Kings models… I am actually intending to paint a group (warband?) of them as a bit of a challenge to myself – I haven’t painted a unit/squad of anything for a very long time…. but these models are different. Different in that beautiful, non-conventional, Rackham-esque way that has got me excited about miniatures. But back on to the model. I have painted his skin and the leather cuirass to a level I am happy with (the armour may need some more spot highlights, but I will put these in once the rest of the model is painted if needed). The bit I am not 100% sold on are the striped leggings. I dont mind the prison-style& stripes as such, but I am a little concerned about the colour and how it effects the balance of the piece… what do you think? keep them this colour or change them to something else…. black and green? or green and red?